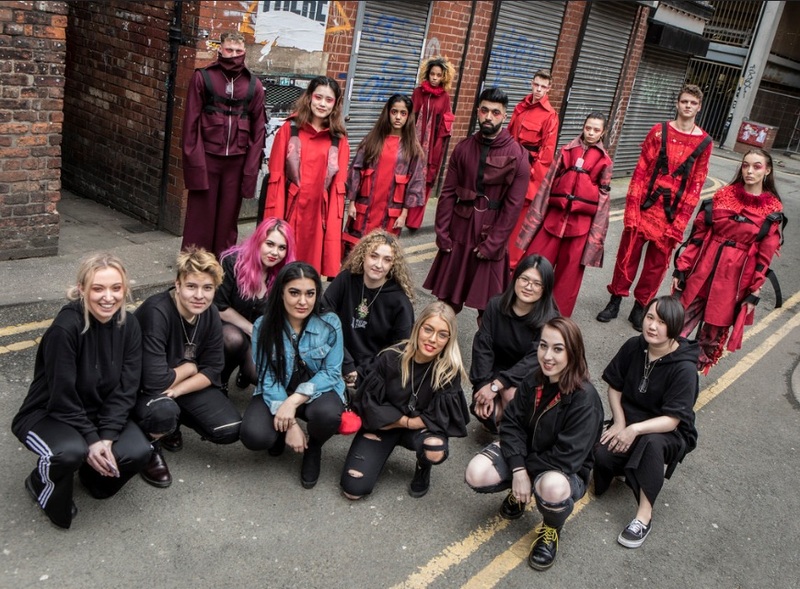 The University Of Salford Fashion Design school set its First Year students a task of designing a fashion collection based upon the theme of ‘identity’ and then to organise and present their collection in a Fashion Show. They were given 7 weeks to complete the task and make the clothes. One of the six groups – Pangea – decided to design their outfits around the theme of how police uniforms give a clear identity to the public. They approached the Greater Manchester Police Museum who assisted them in researching police uniforms through history and across the world. The designers decided to elaborate and enlarge sections of the outfits in their recognition that to some people police uniforms may appear intimidating and scary. The museum offered to host the Fashion Show using the cell block as the ‘runway’. On Wednesday 14th March Pangea revealed their collection to an audience of University tutors, family and friends. The collection was a huge success and in the opinion of the judging panel met the brief wonderfully and awarded Pangea the ‘Best Collection’ award. Pangea have agreed to donate one of the outfits to the Museum as both a thanks and in recognition of how the Museum can inspire contemporary art. Katie Henderson, Museum Officer, said: “We were delighted to host students from Salford University yesterday as they presented their fashion collection in the cells of GMP Museum.